Software and information for civil engineering. Traditionally, earthquake-resistant design has been strength-based, using linear elastic analysis. Since inelastic behavior is usually allowed for strong earthquakes, this is not entirely rational. Strength-based design considers inelastic behavior only implicitly. Displacement-based (or deformation-based) design considers inelastic behavior explicitly, using nonlinear inelastic analysis. Displacement-based design recognizes that in a strong earthquake, inelastic deformation (or ductility) can be more important than strength. PERFORM-3D allows you to use displacement-based design. PERFORM-3D has powerful capabilities for inelastic analysis, but it is not intended for general purpose nonlinear analysis. If you have no idea how your structure will behave when it becomes inelastic in a strong earthquake, PERFORM-3D can probably help you to identify the weak points, and hence can guide you in improving the design. However, PERFORM-3D is not intended for “design by analysis”, where the engineer expects the analysis to determine exactly how a structure will behave. PERFORM-3D is a powerful tool for implementing displacement-based design and capacity design. It will help you to produce better designs, but it will not do the engineering for you. Multiple analysis series can be run in parallel on the same machine. Multiple analysis series can be run on separate machines and combined on a single machine. Time-history results files can now be larger than 2GB to handle bigger models and longer earthquakes. 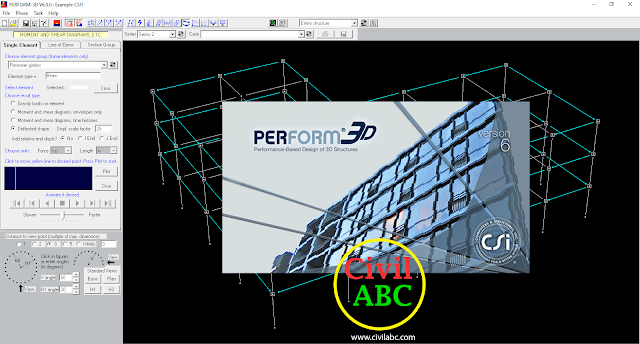 5 Comments for "CSI PerForm-3D v6.0.0 (x86/x64) Free Download"
In 2018, How can I use this program? No file is located on our servers, we only share links.